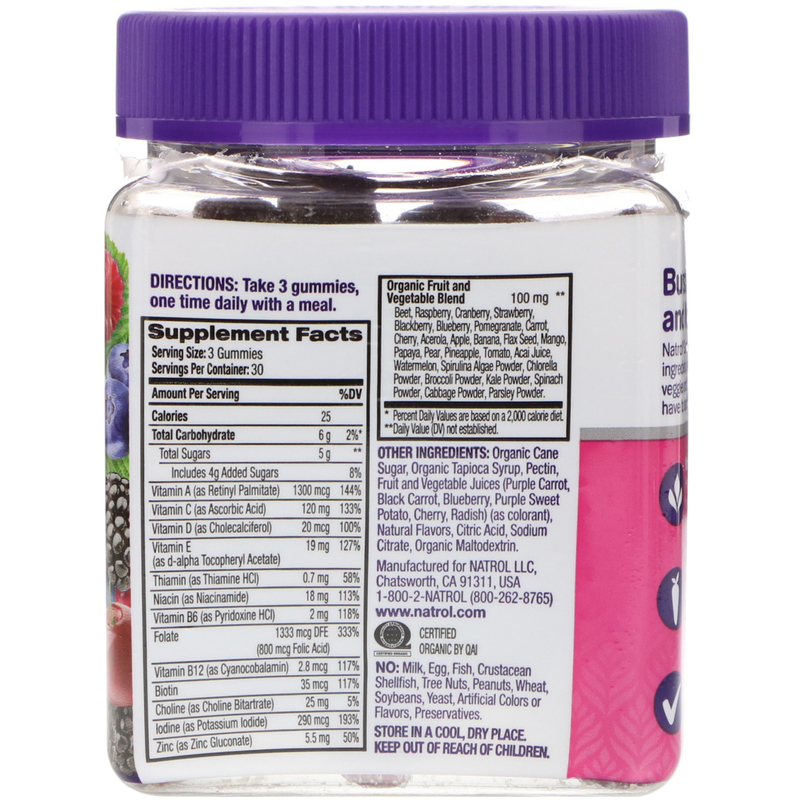 Non-GMO - Free of artificial colors, flavors, sweeteners and preservatives. Vegetarian & Gelatin Free - Made with pectin, which is found naturally in fruits. 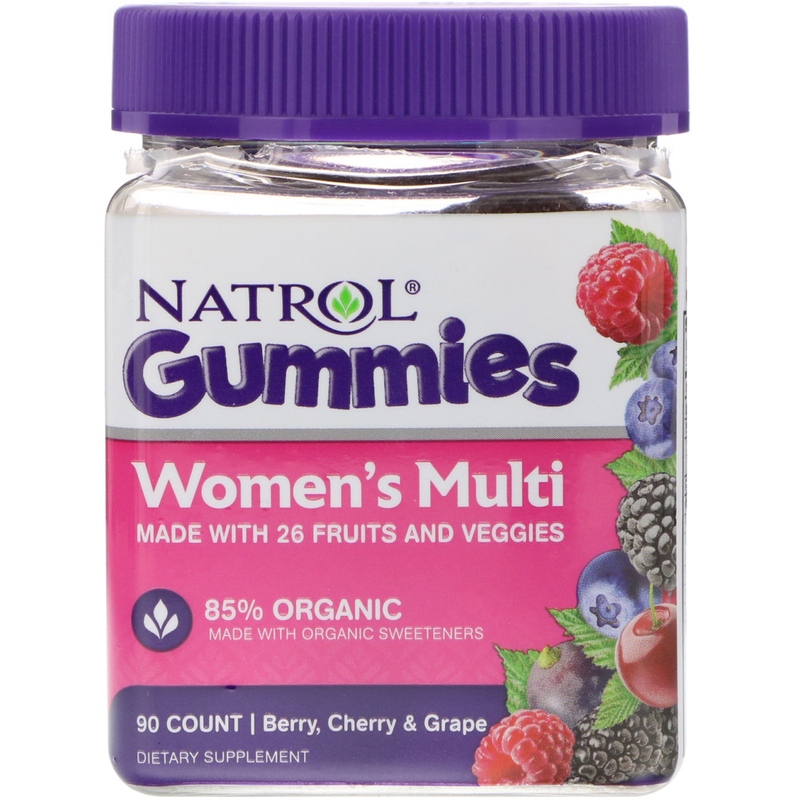 Natrol gummies are made with fruit pectin so they are vegetarian, less melty and less sticky than gelatin gummies. Most importantly, they taste great! Organic cane sugar, organic tapioca syrup, pectin fruit and vegetable juices (purple carrot, black carrot, blueberry, purple sweet potato, cherry, radish) (as colorant), natural flavors, citric acid, sodium citrate, organic maltodextrin. No: milk, egg, fish, crustacean shellfish, tree nuts, peanuts, wheat, soybeans, yeast, artificial colors or flavors, preservatives.